Suicide Squad Character Poster - Slipknot. 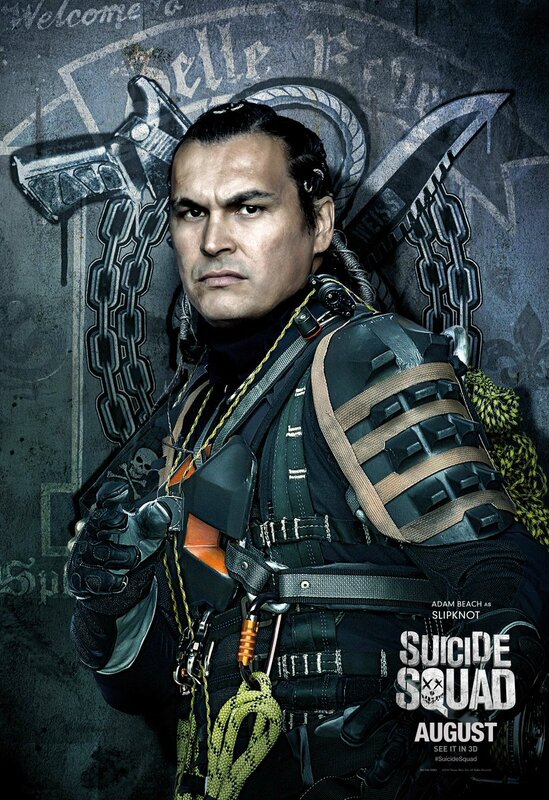 Adam 바닷가, 비치 as Slipknot in Suicide Squad (2016). HD Wallpaper and background images in the Suicide Squad club tagged: photo suicide squad movie 2016 poster character adam beach christopher weiss slipknot belle reve. This Suicide Squad photo might contain 라이플 총병, 라이플 맨, 라이플 총 병, 녹색 베레모, 특수 부대, 엘리트 군인, 녹색 베 레모, 특수 부 대, 해군 인감, 인감, 해군 도장, 도장, 해군 물개, and 물개.